For those of you who were holding out for a Buick station wagon, you will be sorely disappointed. Despite spy photos of a production-ready Regal station wagon, an internal source at Buick has revealed that the company is not consider a Regal wagon for the foreseeable future. 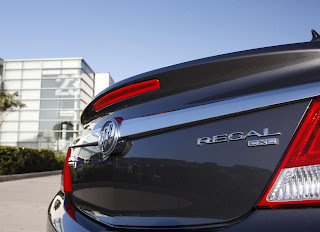 It was rumoured that Buick was pondering over three additional variants of the Regal, including a coupé, cabriolet and station wagon, although Buick's European division, Vauxhall/Opel, will obtain a coupé variant of the Insignia.